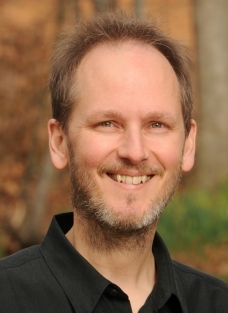 WWPH’s 2010 fiction contest winner, Right of Way by Andrew Wingfield (October 15, 2010), details the lives of a rich spectrum of residents in Cleave Springs, a fictional suburb of Washington DC. An emotional rendering of a changing community and the tensions at the heart of those changes, this poignant work probes what lies under the plats to see how we navigate right of way in our homes, neighborhoods, and relationships. 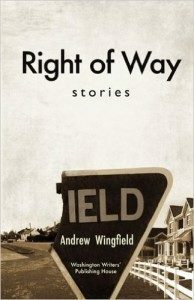 Much of the work is inspired by the author’s own experience living in rapidly changing communities both during his childhood and after he started his own family.Andrew Wingfield grew up in Fair Oaks, California, an agricultural town that first piqued his interest in how place affects people. His work has appeared in various publications, including Prairie Schooner, the Antioch Review, Resurgence, and other magazines. Wingfield’s first novel, Hear Him Roar, was published in 2005. He earned an M.A. in English literature from the University of Chicago and an M.F.A. 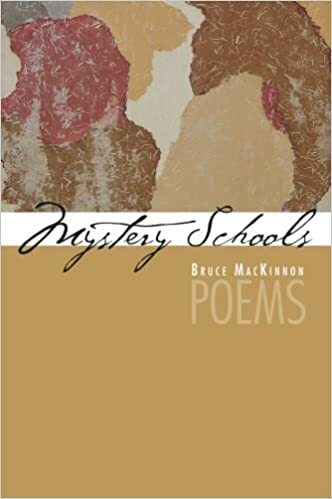 in Creative Writing from George Mason University, where he teaches interdisciplinary courses at the New Century College of George Mason University. These courses explore the ecological and artistic facets of people’s relationships with the places they live. He lives in Alexandria, Virginia with his wife and two sons. AS SOON AS MOONEY saw her he knew something was wrong. She stood at the top of her porch steps in a sleeve- less white nightgown, pale calves and bare feet showing below the hem, slim arms waving, orange hair vivid in the morning light. He paused at the bottom of the wooden steps and Charles and Amelia instantly hairpinned their lean flexible bodies and pointed their snouts back at him, two sets of moist dark eyes hungry for reassurance. “You don’t know, do you?” she said. 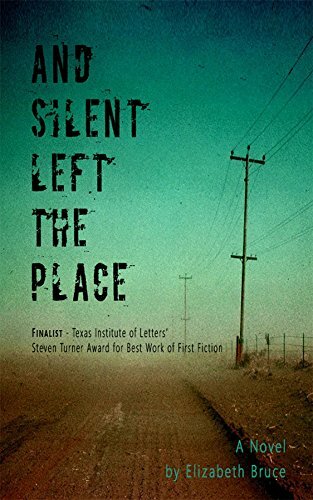 Before Mooney could answer his neighbor turned around and walked into her house, the nightgown billowing around her legs as his startled mind groped for her name—a name he ought to remember. He had never entered this house before, but for the dogs’ sake he acted like it was natural, talking them up the porch stairs and over the threshold. She stood across the living room, intent on the television he could hear but not yet see. Directly behind her, strong morning sunlight poured in through the window on the east wall of the room. The fabric of the white nightgown was sheer, summer-weight. Before he crossed the room to join her, Mooney accepted the vision that the sun offered him, a clear outline of the woman’s profile as if drawn in preparation by an artist who would sculpt her. The form was streamlined, proportional, the small breast above counterbalanced by the slim haunch and modest buttock below. The hair that topped this slender body was spectacular, a persimmon-colored tangle that massed densely upward from the nape of the neck and then roiled above the cranium in an exaltation of sunlit coils. The sun showed Mooney another bank of orange coils flaring forward beneath the gentle rise of her stomach. On the television screen the Twin Towers were burning. Mooney and his neighbor—he knew her name; he had known it—stood side-by-side watching the spectacle, listening to the newscasters’ voices, the dogs whining quietly as they leaned against Mooney’s legs. Your story collection explores the complexities of a changing community. Did you have any experience with this as a child? The place where I grew up was a small town with an agricultural history and character. During the years between kindergarten and high school for me it became part of suburbia. All of this open land that was around my town turned into housing tracts, shopping malls, and big, wide streets. That really left an impression on me, to see this place that I was very connected to transformed in a way I didn’t think was very positive at all. Right of Way is a collection of stories set in the same gentrifying neighborhood, Cleave Springs. Did your experience currently living in Alexandria influence your writing? Yes, very much. The neighborhood I live in used to be known as a pretty a rough part of Alexandria. It was just emerging from decades of blight when my wife and I bought our place and began fixing it up. We’ve been on the ground for this immense transformation that has happened in this community the last ten years. Most people say the neighborhood has gone from bad to better, and in some senses that’s true, but we’ve lost something, too. The neighborhood became home for a lot of newly arrived people, but it also ceased to look or feel anything like the home it had been for the folks whose families had been here for multiple generations. Why do many of your stories focus on neighbor-to-neighbor conflicts? During the gentrification process, that’s what happens. You have these pioneers—progressive folks, artists–who come in and they recognize and accept they’re moving into a place that’s a little sketchy. The fact that they’re there makes people who are a little more conservative and cautious think, “Maybe I can do that.” Those two groups are not always on the same page. That second wave has a vision for the neighborhood that’s more tidy and conventional. A good number of people have moved out of my neighborhood because it’s not as funky as it was in the very early days of its transformation. That’s just the typical gentrification process that happens in cities all over, these kinds of waves. So is that why you decided to call your story collection Right of Way? Two reasons. One, there’s an old railroad right of way that runs through Cleave Springs and figures importantly in several of the stories. To me, that right of way felt like it was incredibly important to what I like to think of as the neighborhood ecology. And two, there is the idea of right of way, and who has the right of way in a community where so much is in flux. Just about every story deals with that in one way or another. Sometimes it’s a racial thing and a class thing: the longtime residents, most of them disadvantaged African Americans, who feel a sense of ownership and identification with the neighborhood, bumping up against newcomers who are mostly white, middle class people who bring a sense of privilege with them. Sometimes it’s that question again of neighbors, and their competing visions of what the neighborhood ought to look like. Why did you decide to write a collection of short stories and not a novel? My wife gave birth to our fist son about six months after we moved in to our place, and I started teaching full-time a few months after that. I became a busy man, a writer whose writing time was very fragmented. I had written one novel and had a couple of ideas for new novels that would require a lot of reading and research. But I had no time for reading and research. As soon as he could walk, my son would stand at the top of the stairs in the morning and holler until someone took him outside. I walked all over the neighborhood with him in the stroller or on my shoulders; and I spent many, many hours with him at the playground down the street. I was always witnessing these intense human exchanges on the street, watching and talking to all kinds of intriguing people, and eventually it dawned on me that this was my research time. I started writing stories suggested to me by some of those situations and characters, and then I started to think about what a group of stories set in a neighborhood would look like. 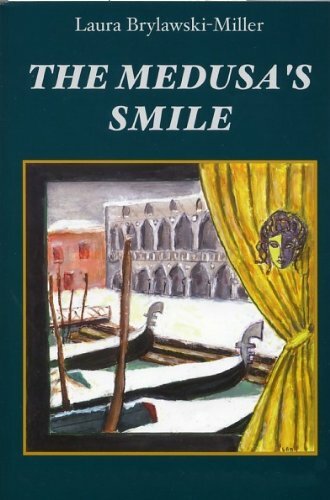 It became apparent to me that I was not trying to write a collection of stories that was going to masquerade as a novel. I wasn’t going to have one character that kept appearing. I was going to have the place be the thing that connected the stories together. Have you been writing your entire your life? I was not somebody who did a lot of creative writing in college. I was studying literature, and always had it in the back of my mind that I wanted to write books. In graduate school, I was starting to write stories and getting interested in creative work, but I was in a PhD program that was only about literary scholarship. After the first year of the program, where I was reading all day, every day, and none of it was literature, I thought, ‘This is not the place for me’. So I got out of there. I was out of school for quite a number of years and I was just writing on my own before I decided to do a second tour of duty in graduate school and pursue an MFA in creative writing. You seem to have a good grasp of young people today. How are you able to produce such realistic sketches of them? There’s a bus stop right out in front of my house for middle school and high school students, so I watch them every morning when I’m taking my kids off to school. I like to eavesdrop on people and I overhear the types of exchanges that go on. Also, I teach college freshmen every year. I’m in a program where students are invited to write personal reflections. I get to read what students say when they’re writing informally. I think often we disclose things in writing that we don’t disclose in speech, especially when we know we have a reader who is paying attention, but isn’t really a part of our personal life. Students, when they’re writing informally, write in a way that’s more intuitive and native. Sometimes that can be full of mistakes and not grammatically correct, but sometimes there’s something really revelatory and poetic about the way people express themselves informally, even people who don’t have a facility with words. How did you come to start teaching? As a graduate student at George Mason I got a chance to teach because I had a teaching assistantship. I paid for classes by teaching classes. I finished grad school and was trying to figure out what I was going to do next, and I bumped into somebody who had been a poetry student in the MFA program and was now teaching in this thing called New Century College, which was the integrative studies program at Mason. I checked it out and they had a couple of courses on the books there that caught my eye. One of them was called American Landscapes. I got hired to teach adjunct there, and thought I’d do that for a year while I worked out my next big move. 11 years later, I’m still at New Century. I just carved out a niche for myself there, as someone who’s interested in writing and literature, but also ecology, conservation, and sustainability. I often get to team-teach with scientists who know things I want to learn about, which keeps the work fresh. For me, too, teaching is a nice complement to writing, which is such a solitary activity. I like being alone and I love that intense focus and quiet, but I also like to interact with people and teaching gives me that. Animals have a featured role in Right of Way. Are you inspired by inter-species relationships? I think the relationships humans have with other species are fascinating, and that’s probably partially influenced by teaching classes on conservation and sustainability. I have an ecological perspective on the world so I think of human beings as a species among species. We just happen to be a very powerful one. I think it’s interesting to see how we interact with other creatures, both the ones that we have as pets and the ones that we can’t control. Dogs and cats are important characters in several of the Right of Way stories, and I’ve also made room for creatures no one owns. One section of the right of way is blocked off by a big fence with a locked gate, and it isn’t managed or mowed; that makes it a kind of feral or even wild space that gives the neighborhood another dimension. Your wife is a painter. Are there any advantages to living with a creative partner? It’s great to live with another creative person because you can commiserate. My wife is very grounded in the art-making process. She doesn’t focus on results. She focuses on the process. She develops her work in a very steady way, and that’s an example that I’ve learned from. She was much more advanced in pursuit of her own art than I was when we met. Seeing the kind of dedication that it took, seeing that there’s no glamour to being an artist, was very valuable for me. The other thing she showed me is that we have our successes, but we have a lot more rejection. You can’t let the world decide for you what you’re going to pursue and what you’re going to be, you have to just make that decision for yourself and commit yourself to putting up with the hard knocks and the disappointments. The one thing you can control is the process, and letting yourself enjoy making something. If you fixate on the results, you’re going to waste the time and energy that you could be spending on doing the work, and you’re going to rob yourself of the pleasure that the work can give you. The pleasures of the successes are so ephemeral, if and when they do come. It’s a day or two of a blissful feeling and then the next rejection letter comes in the mail, and you’re like, ‘Well, I guess I’m not that great.’ So she’s definitely been a great companion and a great example for me. How has your writing process changed since having children? The process has become more fragmented. I don’t control my own schedule as much as I used to. On a deeper level, being a parent affects me profoundly. You encounter a whole new dimension of your personality, and of human existence, when you have children. It just changes your whole perspective. Right of Way would be a very different book if I were not a parent. In fact, the book probably wouldn’t even exist. These stories are all about the relationship between parents and children. Specifically, what it does to one’s sense of self to become a parent. I’m part of a generation of people who have kids relatively late, so I had my own sense of identity and professional self pretty well solidified by the time I had kids. That had to be re-organized. There’s just no way you can continue to be the person you were before when you have kids in your life. Having babies, becoming a parent, sort of threatens your sense of who you are professionally and personally, and it threatens your bond with your mate. They can’t give you what they did before, and you can’t give them what you did before. These are all things that can be navigated successfully, and in many cases are, but they’re not easy. Right of Way is a book about home on a lot of levels. It’s about making a home in a neighborhood. It’s about how people make families, and what the relationship between a family and a home is. I don’t think those are easy things, and some of my stories do reveal the difficulty of making a family and a home and a community as a way of being true to what I’ve lived and observed. How did you feel when you found out that you’d won the WWPH fiction contest? I was really pleased. It’s incredibly hard to publish a collection of short stories, just because of the way the literary marketplace works. Readers buy novels, and not many of them buy story collections. You may write a collection of very fine stories, but there’s no guarantee that collection will find a home; so I’m happy that mine did. 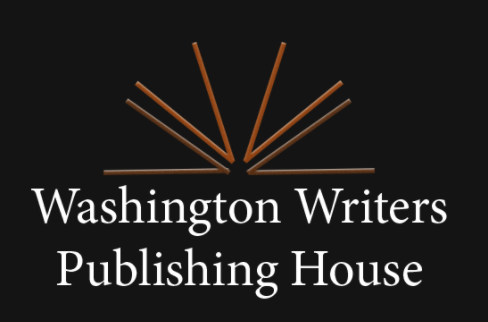 I’m also very pleased that it’s with WWPH because it’s an organization run by writers in this area. It’s been great for me to meet a bunch of writers and to connect with elements of the DC literary scene that were not part of my life before.